Are you trying to decide what rose color to give someone? 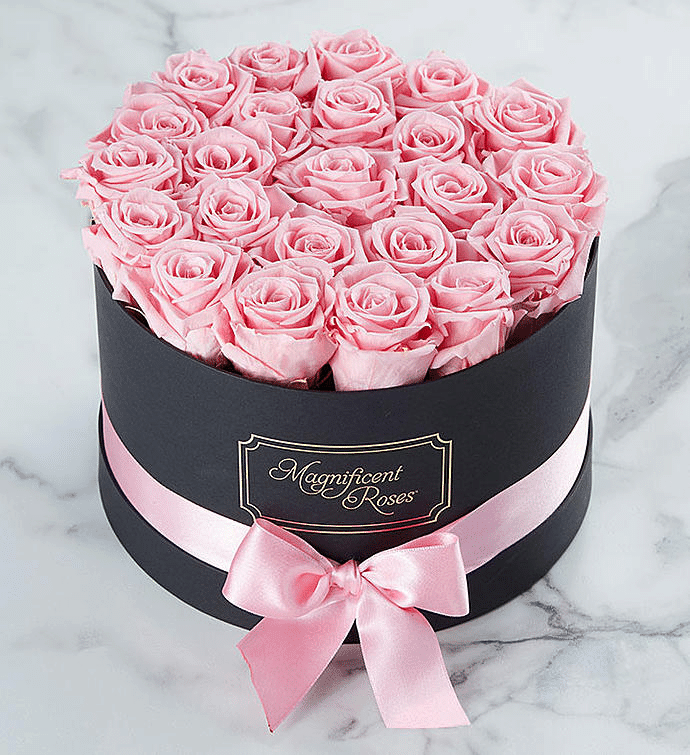 Perhaps you’re thinking of pink roses? Or maybe you want to know where pink roses came from or what they signify? Pink roses are often eclipsed in modern thought by red roses. But these lovely blooms actually have a rich history of their own. They can also convey many meanings. Different colors of roses can have different meanings. In the same way, different shades of pink roses can send their own messages. Dark Pink roses say thank you. Pale pink roses are a symbol of gentle admiration. Medium pink roses have several meanings. They can represent first love and romantic intentions. But they also can say “congratulations”, “get well soon”, or “sorry for your loss.” Context is key. If you’re ready to shop for pink roses, you can find them on many popular sites. Check out ProFlowers, From You Flowers, FTD, 1800flowers, the Bouqs and Teleflora. Pink roses, rather than red, are actually some of the oldest varieties known. Archaeologists have found some fossilized pink rose petals that are roughly 40 million years old. The most common species of wild roses tend to be pink. In fact, all rose varieties likely came from pink ancestors. Historians have found pink roses in some of the earliest surviving visual depictions. One excellent example is the Minoan frescoes at Knossos. They’ve been dated to roughly 1700 BC. The frescoes depict simple pink roses featuring five petals. Napoleon’s Empress, Josephine Bonaparte had a particular fondness for roses. She collected over 250 varieties in her garden at Malmaison. Her garden featured many different pink rose varieties. Today we can see her beautiful collection in the watercolor book, Les Roses. The artist documented 117 varieties of rose blooms, many of them pink. But what if you’re not convinced that pink roses are a perfect choice? You can learn about other pink flowers or discover the meaning of other roses.